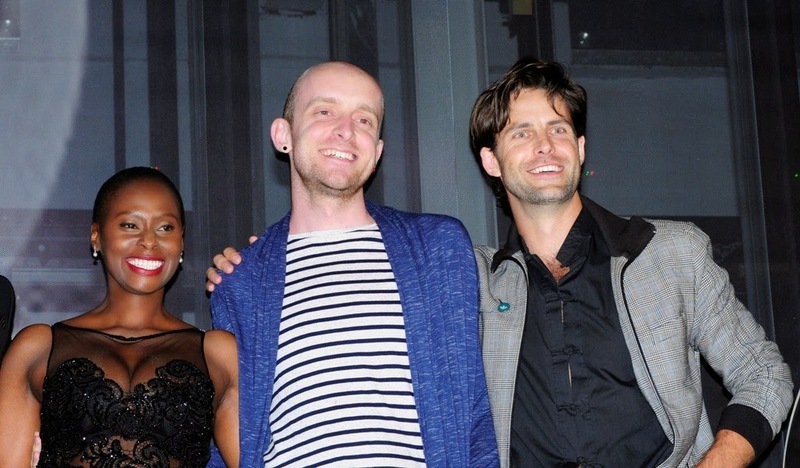 Elevated 2 stories up on a glittering stage overlooking a thronging crowd of over 500 Celebrities, VIP’s and Fashionistas, South African filmmaker Aidan Whytock proudly held aloft the Mercedes-Benz trophy for ‘The Choice’ as well as a cheque for US$ 10 000. It was a biggest moment of fame for him and he was elated to hear his name pronounced amongst all the valid entries for this contest. This iconic moment was the culmination of the second annual Mercedes-Benz Bokeh South Africa International Fashion Film Festival held at the stylish 15 on Orange Hotel in the Cape Town CBD. The 2 day fashion and film extravaganza, founded and owned by film-maker Adrian Lazarus provided a focused platform for both local and international up and coming talent to showcase their fashion films and design in conjunction with pop-up retail outlets and focused industry talks. The event attracted the very best in South African fashion talent with greats such as Hendrik Vermeulen, Adriaan Kuiters and Jenevieve Lyons to name a few and each design house showcasing unique collections while some also featured fashion forward installations. Mercedes-Benz, headline sponsor of the event holds an established international alignment with the fashion industry as a central component of their lifestyle marketing activities, and Selvin Govender, Marketing Director, Mercedes-Benz Cars affirmed their commitment, “We are extremely pleased with the overwhelming success of the second Mercedes-Benz Bokeh International South African Fashion Festival. Being the title sponsor of this exciting event has created a unique interactive sensory platform for us to share our brand values and simultaneously offer the South African fashion and film industry the international recognition that they so richly deserve." Following on from the success of the first event in 2014, the festival has again attracted the commitment of the Cape Town Fashion Council with CEO Brian Ramkilawan affirming, “The Mercedes-Benz Bokeh International South African Fashion Film Festival is now an established annual event that showcases our immense local fashion talent to the world and is contributing towards developing the fashion industry in this country.” The event also attracted other premier brands including global make-up company M.A.C cosmetics, ghd stylists, Fox Box, global TV channel Fashion One TV, electronics manufacturing giant Hisense, RGBC, African Pride 15 on Orange and Protea Hotels Fire and Ice, Sunglasses Hut, Platinum Groups labels Jenni Button by Warrick Gautier and their men’s label Hilton Weiner. The sold out ensemble of celebrities, VIP’s, Movie producers, Media, Fashionistas and invited guests were calmly introduced to a daunting red carpet walk by glamorous host Bailey Schneider, whereafter local and international media took over and jostled for position to gain the ultimate image and interview. The Jonny Cooper Big Band accompanied the arrival, and played throughput the night interspersed with the musical genius of renowned international pianist, Joja Wendt accompanied by floating food, designer canapés and sparkling aperitifs. The Mercedes-Benz Award and US$ 10 000 was awarded to Aidan Whytock. The award is presented in recognition of an uncompromising pursuit of quality, passionate design and creative innovation. I am waiting for the 4th of June this year, when this event will showcase in Johannesburg. Looking forward to watch all the the nominated fashion movies and the winners thereafter.